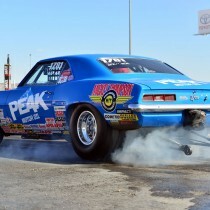 Congratulations to Dan Fletcher for winning the Stock class at the 56th annual Circle K NHRA Winternationals at Auto Club Raceway in Pomona, California, with his 2015 COPO Camaro! Dan’s Camaro is equipped with AFIS ignition wires and AFIS FRT fuel injectors. 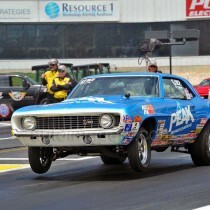 Congratulations to Tim Fletcher, son of legendary racer Dan Fletcher, on winning the Stock Eliminator class at the NHRA race at Pacific Raceways in Kent, Washington on August 3, 2014 with an 11.148 at 110.09 MPH run in his father’s ’69 Chevy Camaro! Fletcher runs AFIS ignition wires on his competition Camaro. 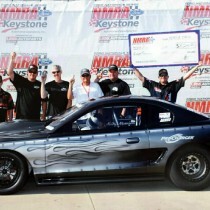 Congratulations to Dan Fletcher for a hugely successful weekend at the NHRA Sonoma Nationals! 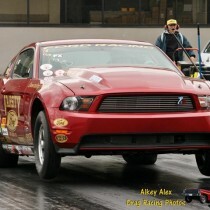 Fletcher not on won the Stock Eliminator class, but he also scored a runner-up finish in Competition Eliminator. This brings his total to 89 national event wins, with 43 runner ups. Fletcher uses AFIS Ignition Wires on his ’69 Camaro. Congratulations to Brad Zaskowski! 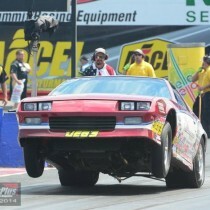 Zaskowski scored a Super Stock win at the Summit Racing Equipment NHRA Nationals in Norwalk, OH on July 6, 2014. Zaskowski uses AFIS Ignition Wires on his ’87 Chevy Camaro GT/E.